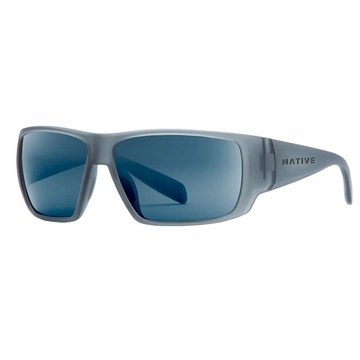 "Drawing inspiration from the fishing technique of sight-casting, this sunglass is all about giving you the right tools for the pursuit of a good catch. Color enhanced high definition optics cut through glare on the water or on the trail allowing you to see deeper and ride further. The full XL wrap frame comes with nonslip grip material along the temples and nose pads to ensure all-day comfort with a lightweight and secure fit. The most innovative and advanced polarized lens on the market. N3 lenses block up to 4X more infrared light than regular polarized lenses, pass Z87.1 testing, provide UV protection up to 400nm, and by significantly reducing blue light and selectively filtering UV, they deliver high contrast, crisp definition, and peak visual acuity."